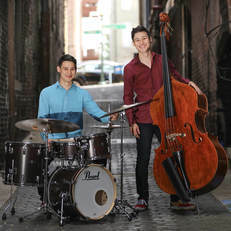 In June 2018, their second album, 'Seeking Higher Ground' debuted on the US Jazz Week Chart. They were ranked #32 on the chart and stayed on the chart for 5 consecutive weeks. In November 2018, they had a successful Japan tour and had a concert with Shamisen brothers to 1,000+ audience in Akita, Japan. They performed in Tokyo, Nagoya, Kurashiki, Kyoto and Kobe.